What Dream Car Does Your Favorite Automaker Refuse To Make? Sometimes a carmaker has all of the ingredients to make your ultimate dream car and THEY JUST WON'T BUILD THE DAMN THING. Take, for instance, Ram. 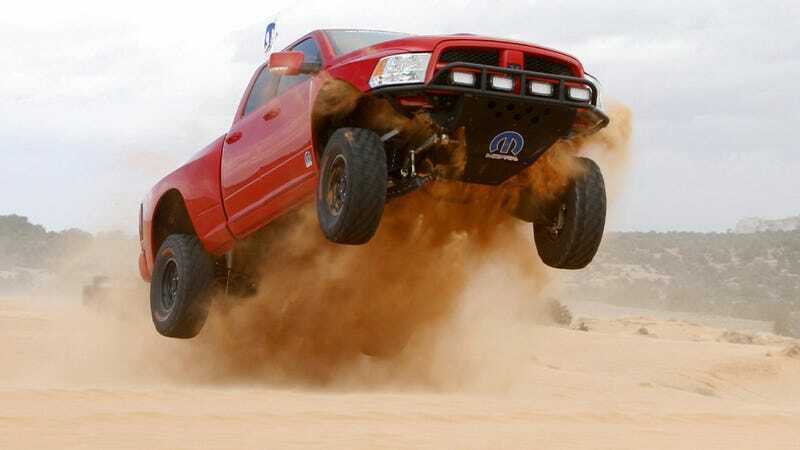 They have shown with the Ram Runner that they are perfectly capable of building a rival to the Ford Raptor, but Ram simply refuses to make a showroom-ready, non-aftermarket competitor. Playing the role of Internet Armchair Product Planner is all too easy, but seriously, there are some cars that are screaming out to be built and automakers just don't have the wherewithal or the foresight to make them happen. What dream car of yours is stuck permanently in the fantasy stage?